It’s no secret that shuttleworth had a fantastic end to the season, with two of the greatest shows seen In a number of years to their credit. Nearly three months have passed since the race day Airshow and the end of the season so I was certainly ready to go out and spend some time with aeroplanes again. 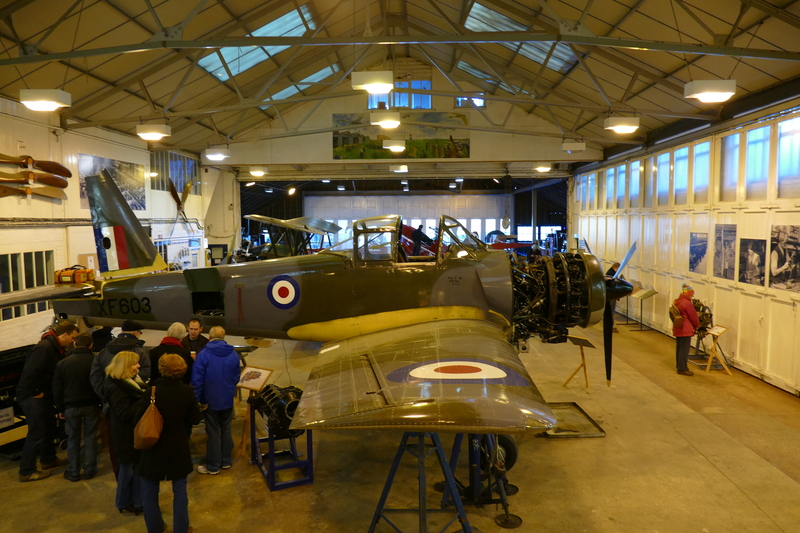 Looking at the shuttleworth events diary it became apparent that they hold an open weekend dedicated to the engineering side of the collection, offering close up looks at aircraft in various stages of winter maintenance. 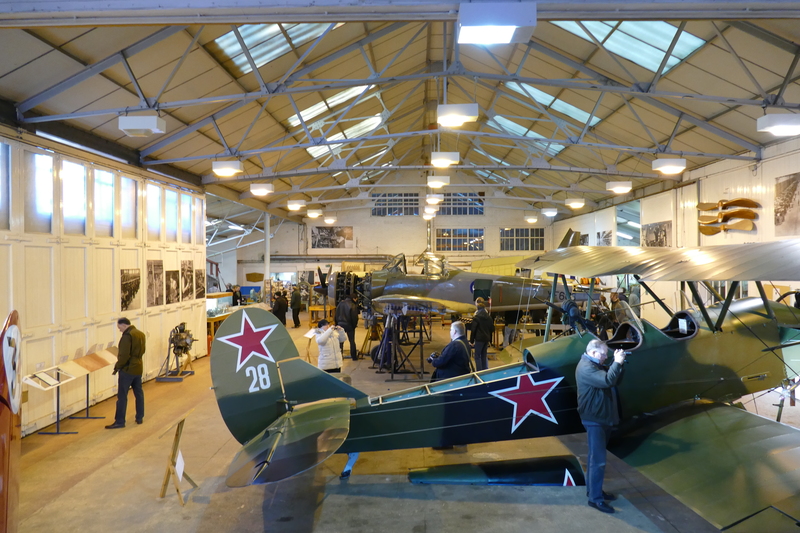 A wider look back across the hangar, showing the Polikarpov Po-2, Piston Provost and the Spitfire restoration. Though the event ran over both days, I elected for the Sunday as the weather forecast seemed much more hopeful, just in case there may be some flying. With the UK being battered by very high winds for what seems like months it was bliss to arrive and a clear and still, if very cold, Old Warden. Events were mainly focused on hangar one, the collections maintence hangar, I was unsure what aircraft would be placed in the hangar, but I certainly had my hopes. As luck would have it I could see both my ideal aircraft sitting in the front of the hangar. 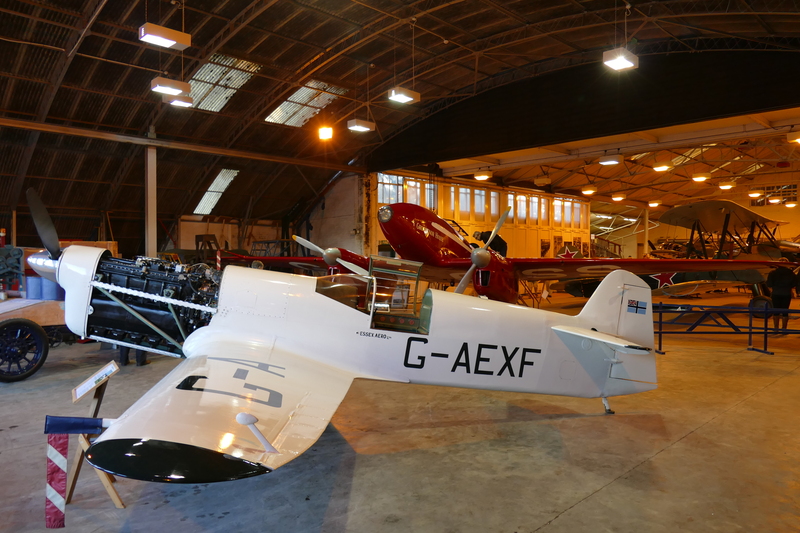 Namely the DH88 comet and Percival Mew Gull. My excitement built from seeing the Comet, then realising we could walk up as close as we like, no barriers, to disbelief when I saw the set of steps to the open cockpit. The two stars for me: Percival Mew Gull and de Havilland DH88 Comet. Honestly I would have paid at least twice the event entrance fee simply to get this close to one of my favourite aircraft. It really gave an impression how hard it must be to fly the aircraft, with very little visibly. Looking out over the nose of the DH88. 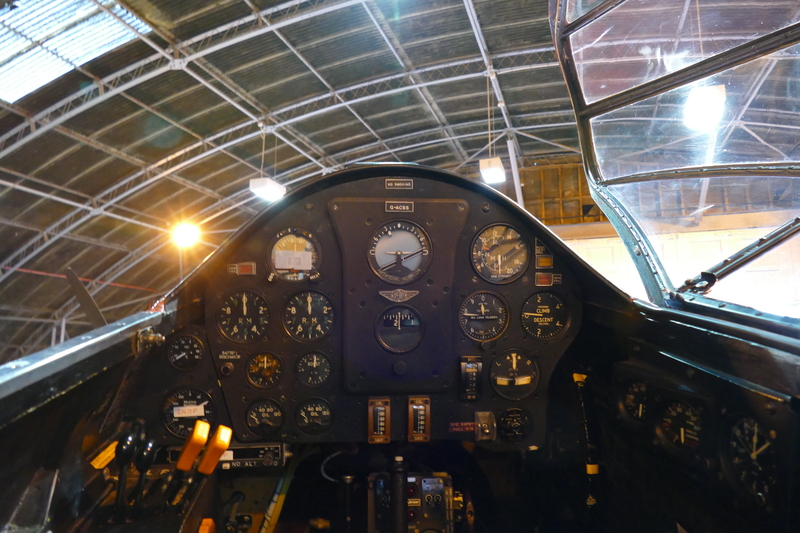 A “Pilots Eye” view from the DH88 cockpit. The same level of access was given to the historic Mew Gull as well! Though with its smaller stance no ladder was required for cockpit access! 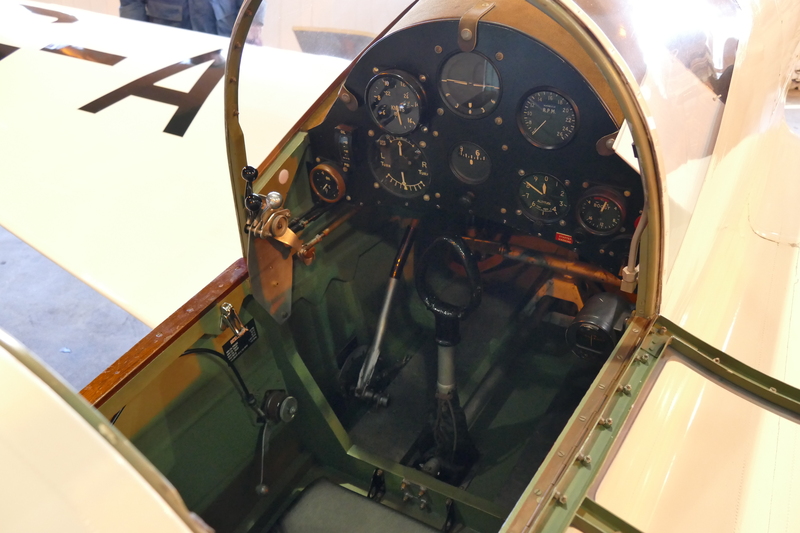 Close up view of the Mew Gull cockpit. Besides the two classic racing aircraft, others in for maintence were the Polikarpov Po-2 and Piston Provost, the latter was in a dismantled state for winter maintenance. The Provost deep in maintenance. One of the “headline” acts was of course the collection’s long running restoration of Spitfire MK V AR501, after years looking behind the barriers at this project it was fascinating to be able to examine it close up.Once again access via steps was given to look up into the cockpit, which by all appearances is nearing completion. 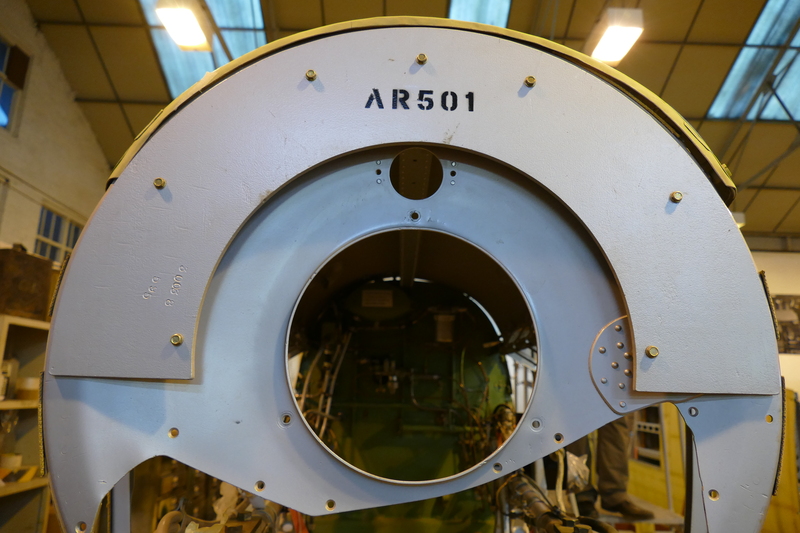 The business end of Spitfire V AR501, currently under rebuild. 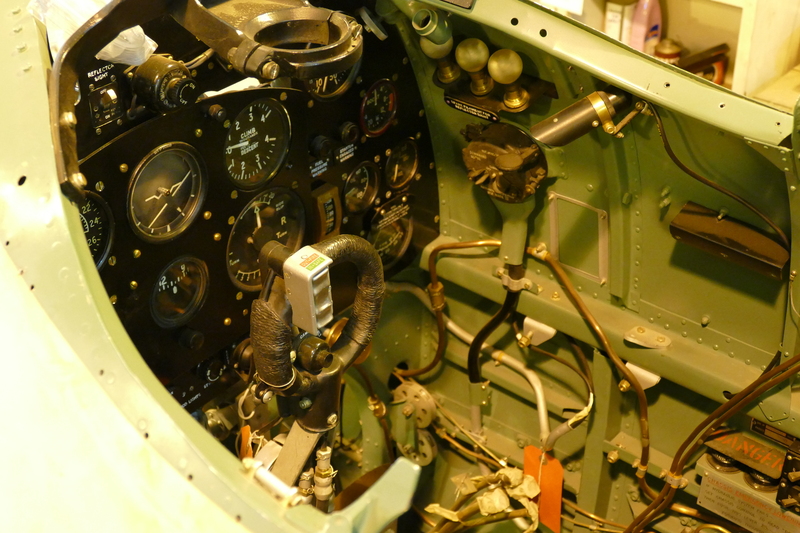 A look in the cockpit of the Spitfire. Looking at both wings was an interesting oppourtunity as well, one of which is relatively complete including landing gear in position, the other is still in the assembly stage, offering fascinating details. 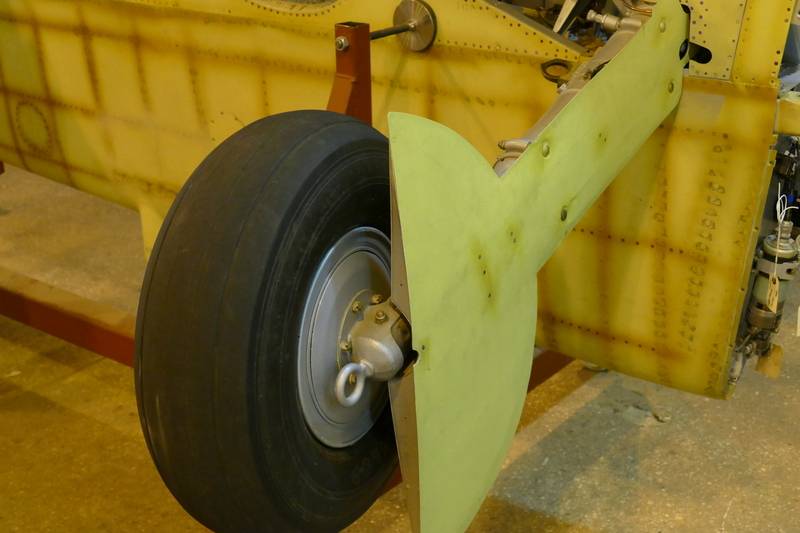 Undercarriage on one of the completed Spitfire wings. The other project that I was really interested in seeing was the Sopwith Camel, last time I saw it was at the 2013 uncovered airshow, not long after its arrival at Old Warden. At this stage the aircraft was a skeleton, I was surprised to find that the fuselage appears mostly complete, having been covered an painted. The Camel restoration project has moved on quickly since I last saw it. The attention to detail is clearly in evident at close range. The aircraft looks stunning all gauges are in place as are the engine and propellor, it also sports a rack of small bombs on the underside. The Camel looks set to become another excellent addition to the already impressive World War 1 fleet! The Camel is certainly an impressive piece of engineering. 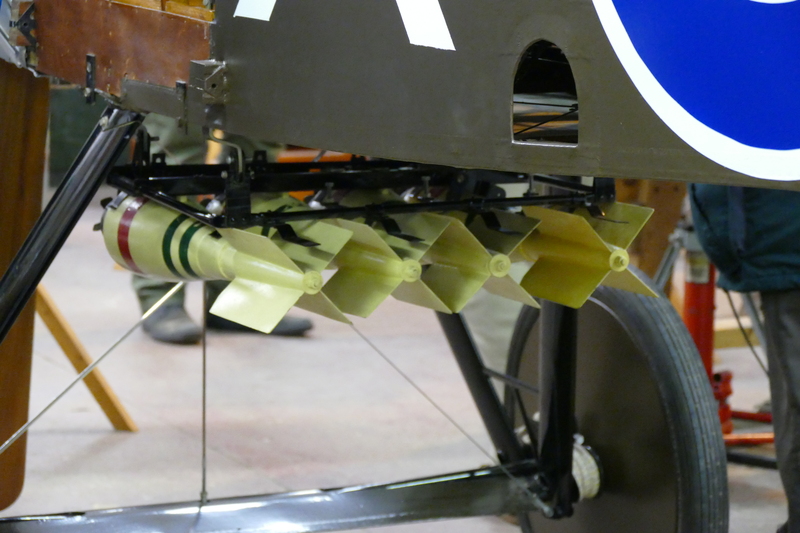 The under-fuselage bomb rack can be seen in place here. 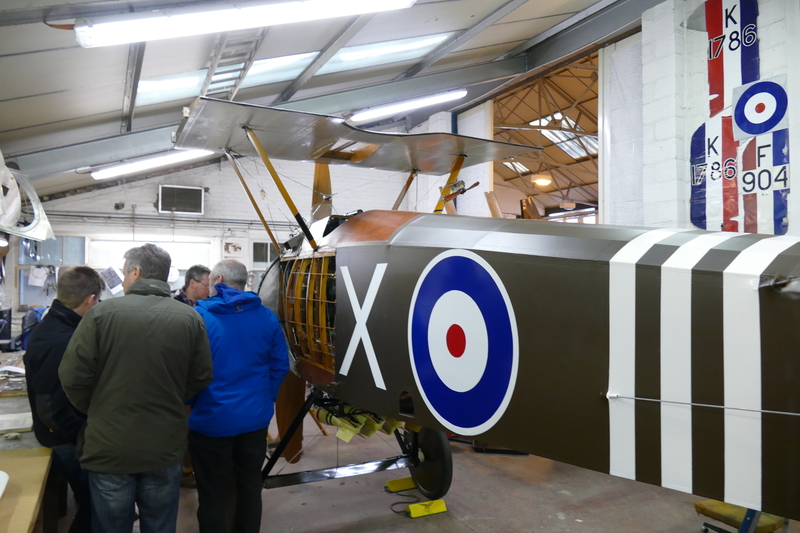 Alongside the Camel, in the rarely open workshop was the fuselage of the Sopwith Triplane. 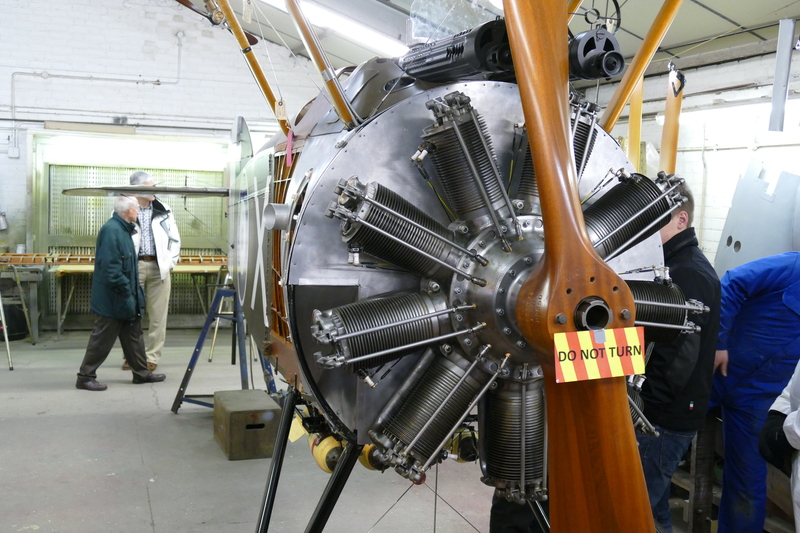 As many will know the triplane was damaged diring a landing accident earlier this year. 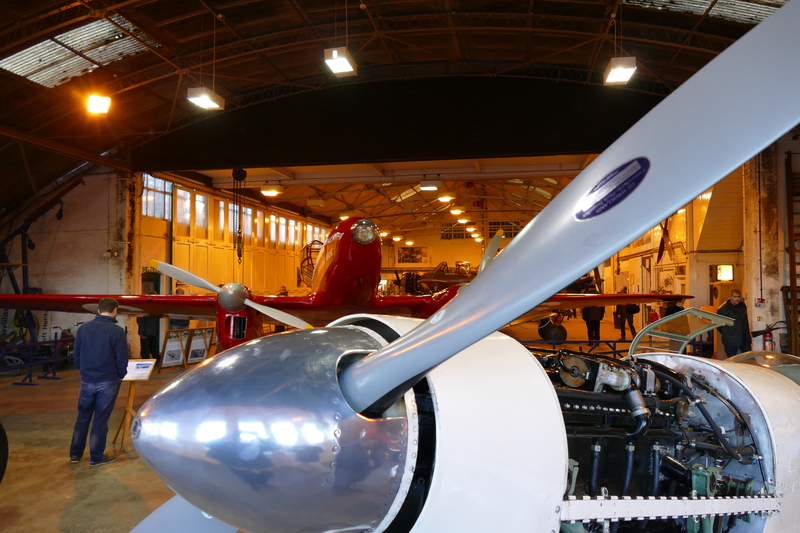 The aircraft sits in a very stripped back stage at the moment, though there are a number of refurbished parts around the workshop for the aircraft. Hopefully it will be joining the camel and pup before too long. All of this activity would have been more than enough to keep the crowds assembled at Old Warden entertained, but we were treated to a surprising amount of aerial activity. 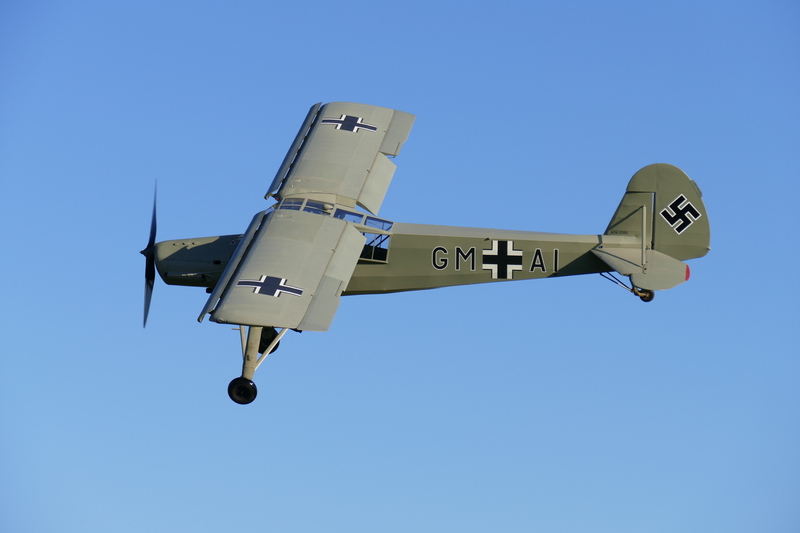 Driving past the airfield I could see that Peter Holloway’s Storch was out on the airfield, and as I arrived I noticed his Bucker Jungmiester out as well. After a quick first look round the hangar, an announcement was made to tell us the storch was getting airborne. 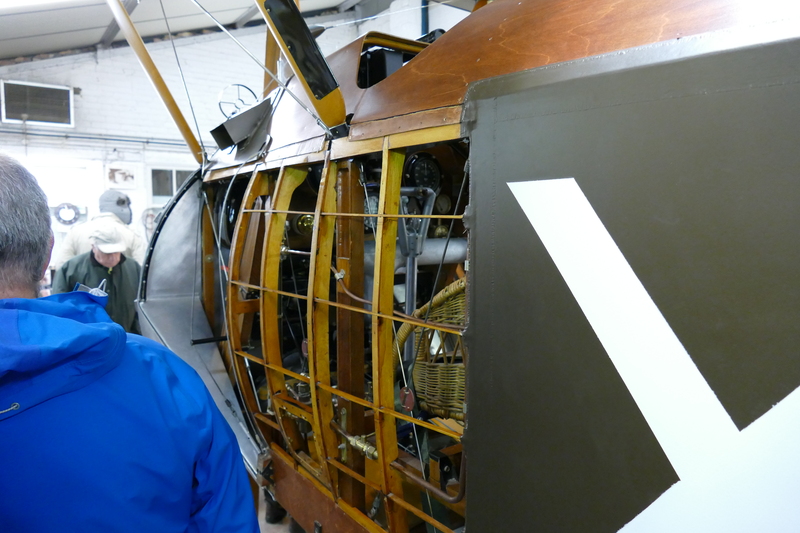 Peter Holloway provided the assembled crowds with two superb displays in his Storch. 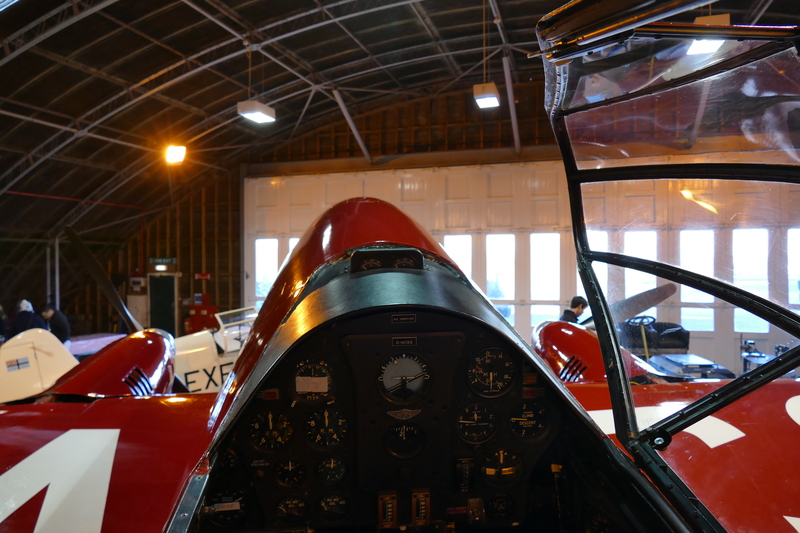 What followed was something of a mass exodus from the engineering hangar, apologies to the team for that! 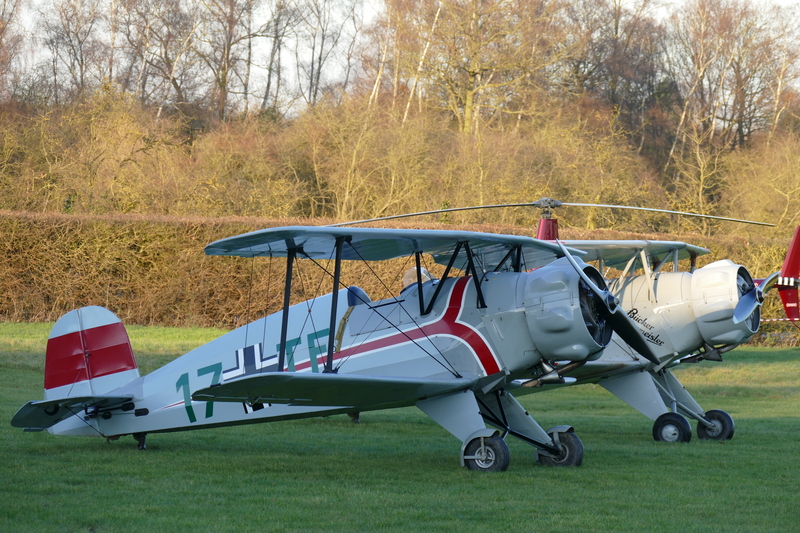 As the storch taxied out and departed for a local flight for a while we were kept entertained by a number of visiting aircraft arriving, the two highlights being another Bucker Jungmeister and a de Havilland Puss Moth! The Bucker Jungmeister pair were a pleasant surprise as well. Over the course of the afternoon we were also treated to both Jungmeisters going up for an air to air flight as well as further displays from the Storch. As the light faded and visiting aircraft started departing it had a real end of airshow feel to it. But i won’t speak too much about the aerial activity as it really was just an added bonus. The event the team at Shuttleworth had laid on was fantastic, perfectly placed in the calendar as well to keep enthusiasts ticking over as the long build up towards the airshow season continues.